Table Rock Billiard Saloon #2 | Historic Jacksonville, Inc. The building at 155-165 S. Oregon Street in Jacksonville that now houses Good Bean Coffee was built in 1860 by German immigrants Herman von Helms and John Wintjen, partners in the “Table Rock Bakery.” This Italianate brick structure replaced their earlier wood frame bakery that also provided space for a butcher shop, groceries, and supplies. Helms and Wintjen may have operated their bakery into the mid-1870s. As entrepreneurs, it’s quite likely they became saloonkeepers after the 1874 fire destroyed all the adjacent wooden buildings, including the notorious El Dorado saloon, a Jacksonville “institution” as early as 1852. 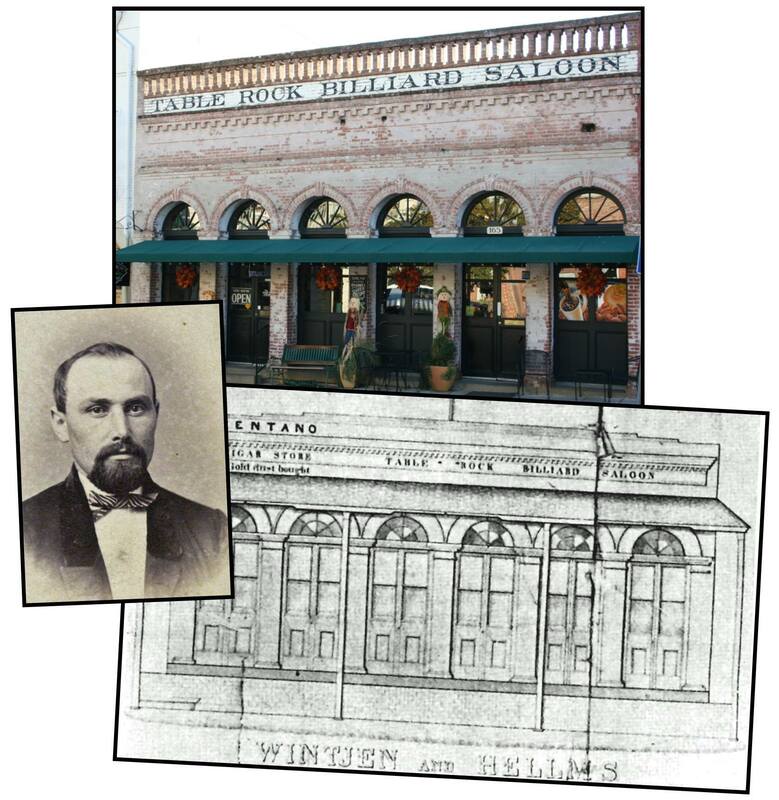 The “Table Rock Billiard Saloon” sign was painted on the building in the early 1880s by which time Wintjen had retired. The saloon became an informal social and political headquarters, home to business deals, court decisions, and even trials. It was also Jacksonville’s first museum, “The Cabinet” – a collection of pioneer relics, fossils and oddities designed to attract a clientele that stayed for the saloon’s lager. Herman von Helms ran the saloon until his death in 1899. His son Ed operated it until his retirement in 1914. Jacksonville Brick & Tile Co. Copyright © 2019 Historic Jacksonville, Inc.